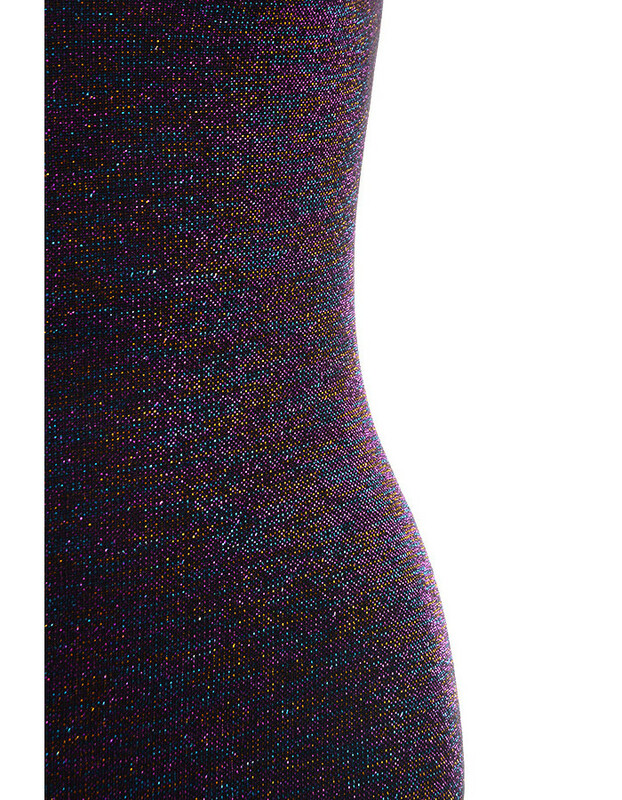 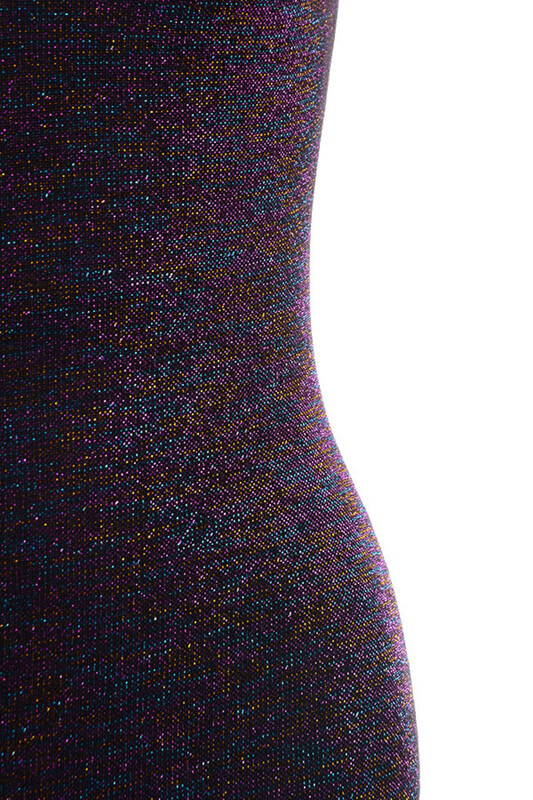 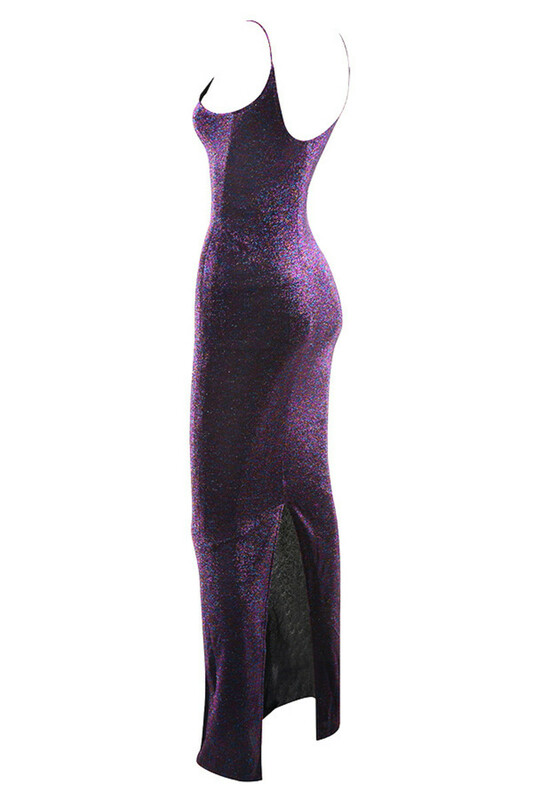 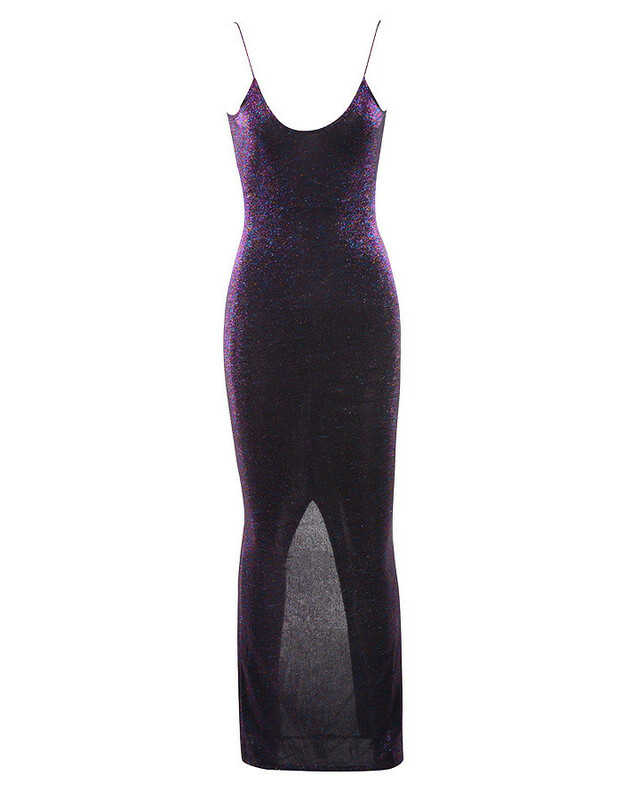 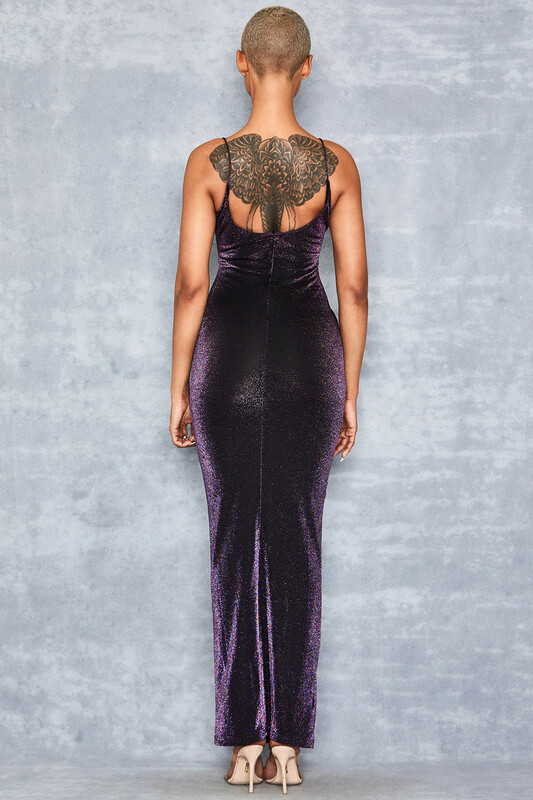 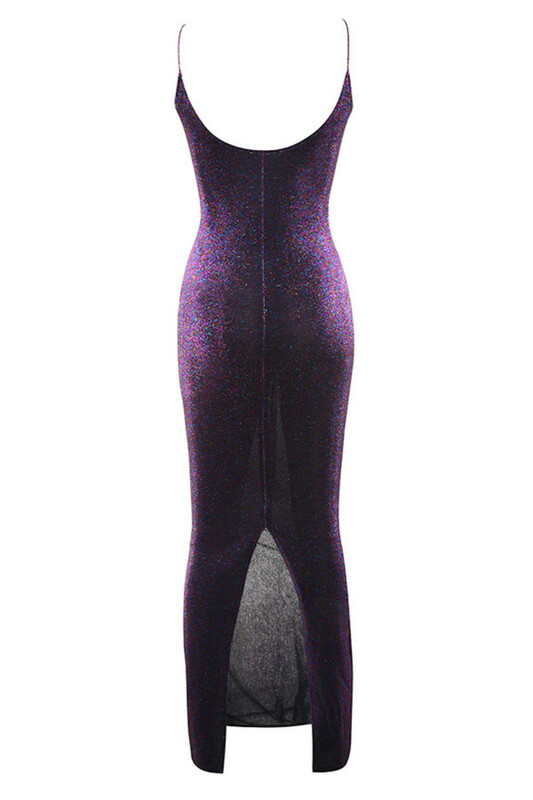 This super flattering maxi dress has an ultra flattering body hugging fit, spaghetti straps and is crafted from a semi sheer sparkle fabric in royal purple tones. 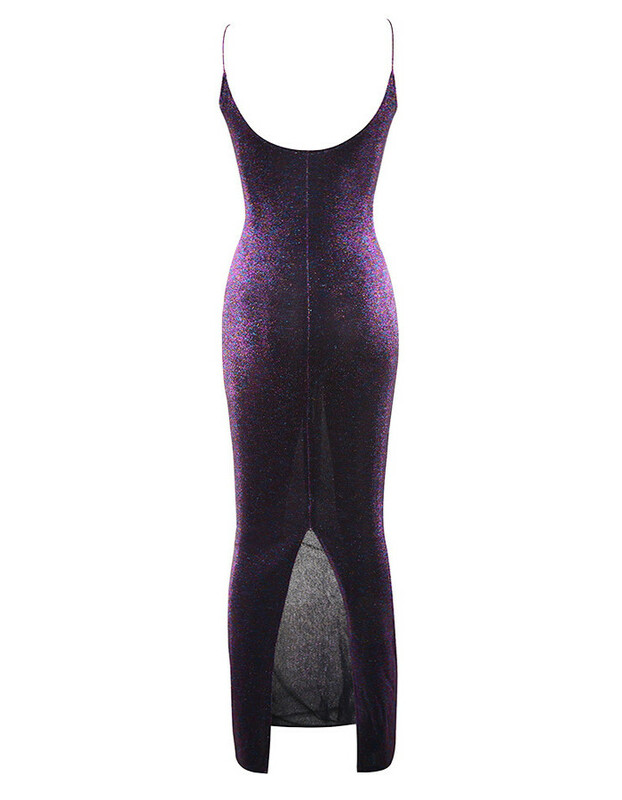 We love this teamed with fiercely heavy boots. 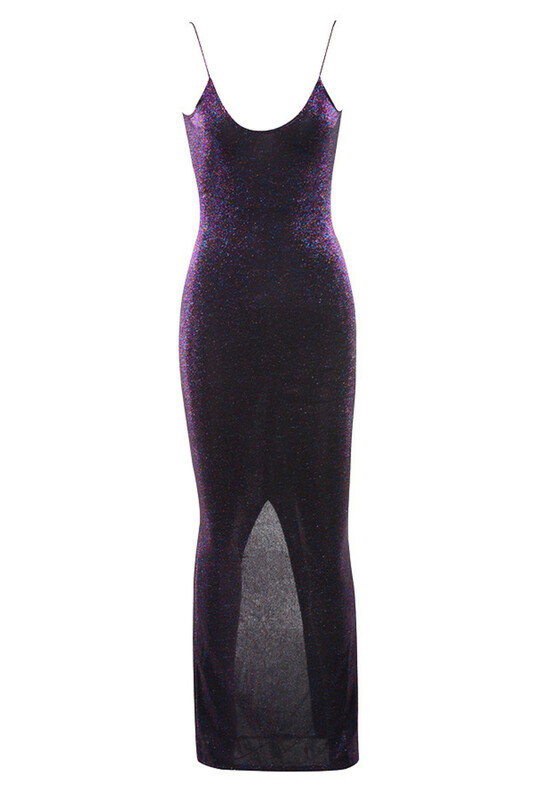 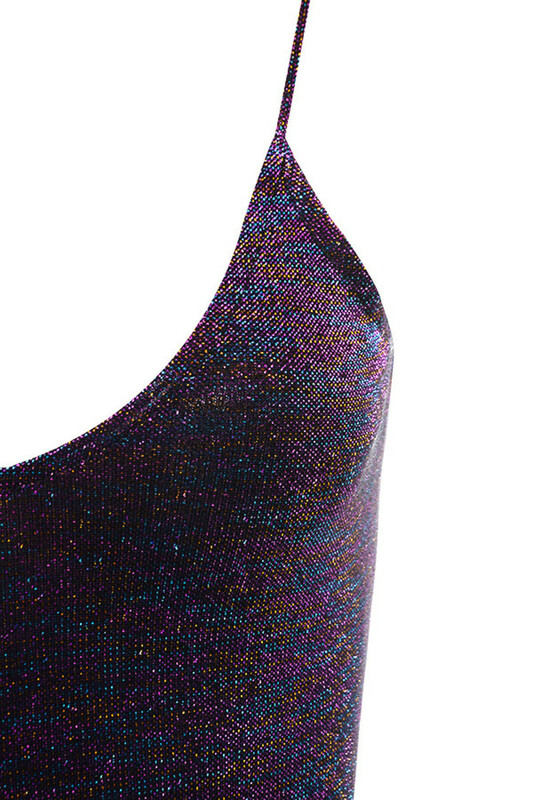 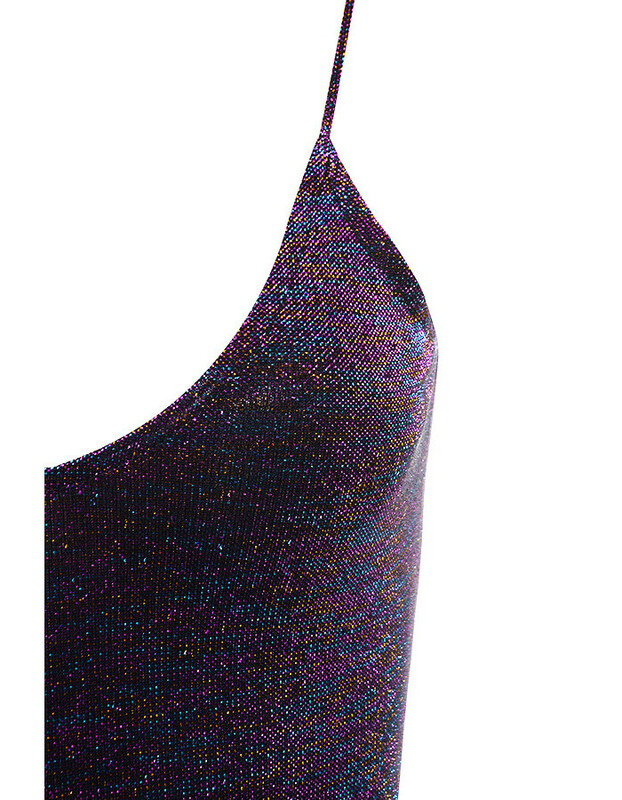 Made from stretchy semi sheer sparkly fabric.